Despite having stayed in Apollo Bay a few times, we had never got around to doing the fish and chips on the beach thing. 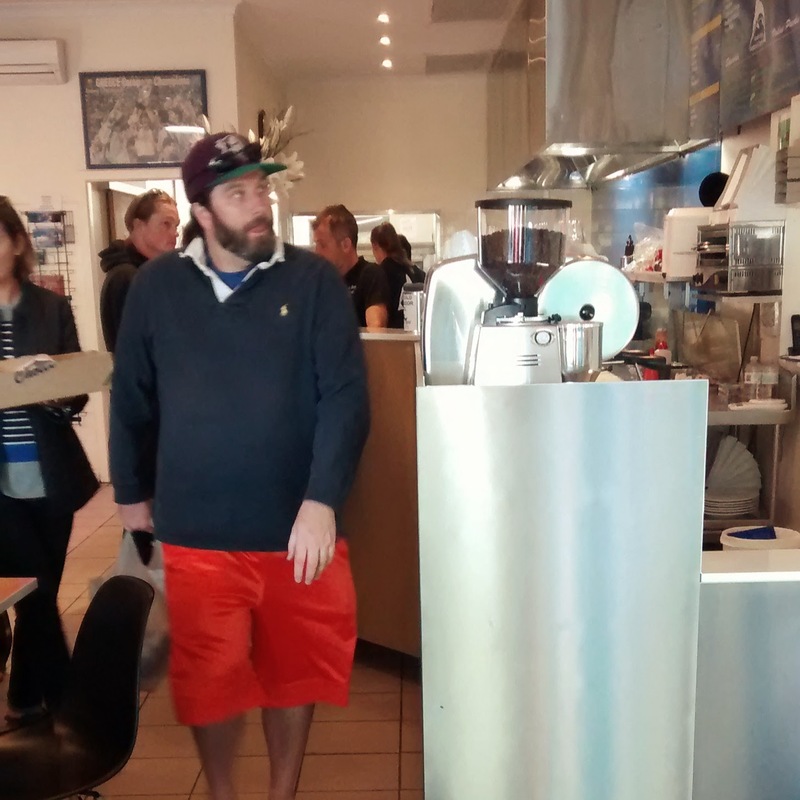 Recently we decided to put that right, and decided to pick the popular looking Apollo Bay Seafood Cafe. It was pretty busy inside on the Thursday evening in late January, but we only had to wait for a for a minute or two after studying the menu before we could order, then it was under 10 minutes until our food was ready. There venue was tidy and clean with quite a few tables to eat in, but we had already planned to head across the road though. The fish and chips looked pretty good on first inspection, there are also some scallops hiding in there somewhere, they turned out to be pretty small apparently. I had the blue grenadier which was moist with a bit of crunch to the batter, however it was a bit oily, as was the case with the butterfish. The chips were great, crunchy exterior and perfectly soft inside. The views from our perch on top of the dunes were stunning. 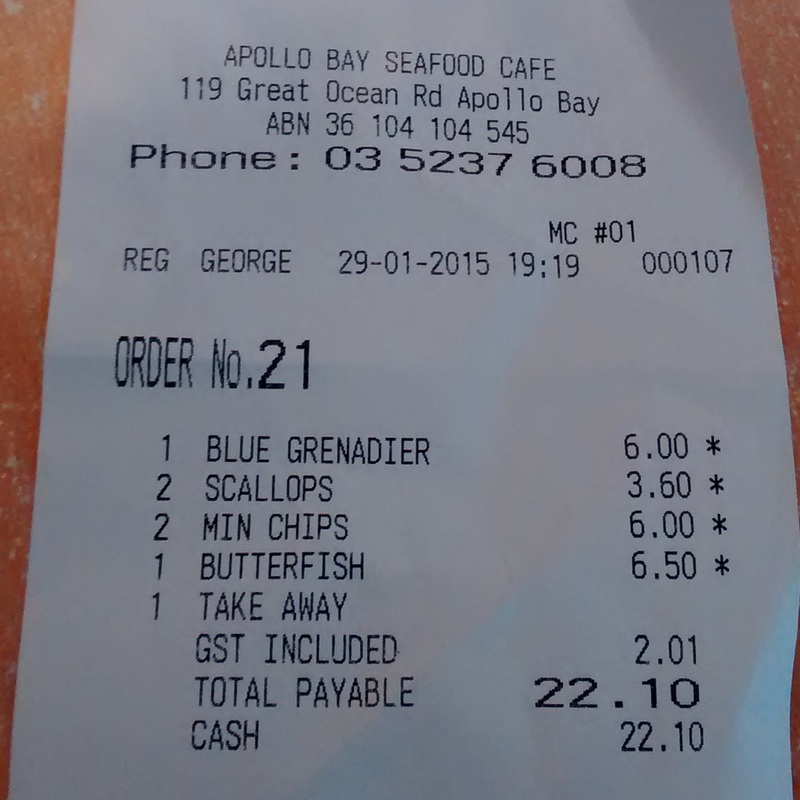 The bill came in at $22.10, which seemed pretty good value for Apollo Bay, and I'd be happy to head back, although there are several other 'chippies' to try in town!